Kitchen camping? Yes, please! | Sew Lindsay, Sew! In a few weeks, I’ll be spending a weekend camping out under the stars. It’s a trip I look forward to every year, although this year will be extra special because I actually own a tent! I usually have to rent or borrow, but this year I had a very lovely tent with my name on it under the Christmas tree! While starting to prepare for my camping trip, I was reminded of this amazing sewing project I once stumbled across on the Obsessively Stitching blog – a play tent for kids, made to fit over a kitchen table, using a set of sheets and some PVC piping. WOW. Talk about inspiration! Is this not the coolest thing you’ve ever seen? What an amazing mom. She even created a drawstring bag out of one of the pillowcases to store the tent. I’m still some years away from having kids, but I couldn’t help tucking this tutorial away in my files knowing that I’d like to revisit it again someday! Aren’t you just dying to hang out in that tent for a bit while your mom cooks dinner? Yes, please! « The Friendship Bag: Rinse and Repeat! 🙂 Yay! Thanks for linking to my tent! You’re welcome… thanks for creating such an irresistible project. You are an inspiration! Awesome idea! I can’t believe that I did not think of it!!! I would love one of these for my future children! Remember your bed tent?? That was fun! I bet you could make something like that, too! You are a great “MOM!” Don’t be so hard on yourself! You are going above and beyond what anybody else has ever done for that little girl, and you know it! 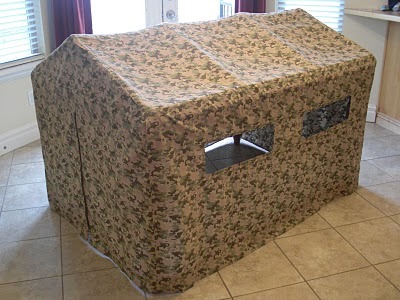 There are some existing “bed tents” out there that you can put on a bed – I had one when I was little. You should get one of those for Selina’s birthday!